Adding metadata to your AbanteCart store’s product and product category pages will help you optimize your search engine ranking. When you add products, categories or content pages, you will see additional fields designed to boost search engine optimization (SEO). These are the Meta Tag Keywords, Meta Tag Description and the SEO Keyword. Completing these fields helps search engine crawlers parse and interpret the content of your store pages. When creating a new product or new category, the name you provide will act as the Meta Title – a very important meta tag for search engines. The name should be descriptive, relevant to the content and should not exceed 70 characters. 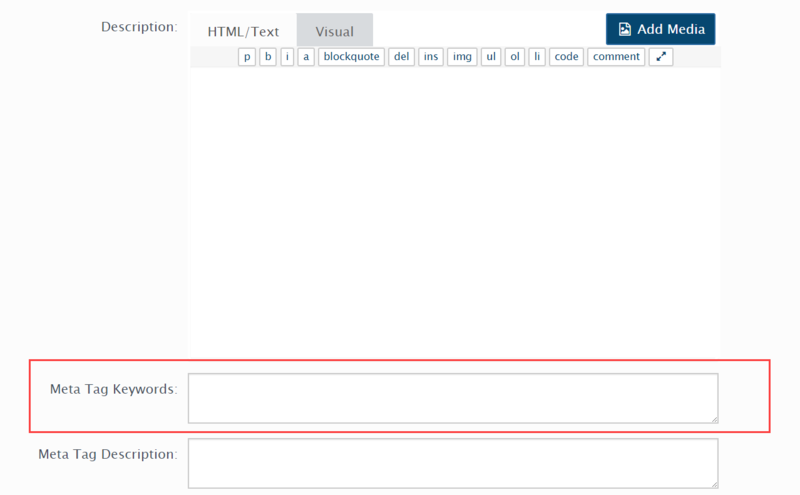 Further down the page, in the Meta Tag Keywords field, you can add two or three words, separated by commas, that relate to the product or category and their features. Underneath, describe the product in the Meta Tag Description field. Ensure this description does not exceed 160 characters and to include the keywords you entered previously. Scroll down the page until you reach the SEO Keyword field. The SEO keyword is used to create a Friendly URL for the page. As the name suggests, search engine friendly URLs can be parsed more easily by search engines, helping their algorithms understand the type of content held on each of your store’s web pages. Using AbanteCart’s search engine friendly URLs simplifies the store’s URLs so, for example, a URL like http://www.mystore.com/index.php?rt=product/product&product_id=120 becomes http://www.mystore.com/jersey-cotton-striped-polo-shirt. You can enter your choice of SEO keyword, or use the Generate button to create one from the product or category name. Alongside adding metadata to your product and category pages, be sure to also create meta tags for the store itself. When you set up the store with the Quick Start Wizard, you’ll see Title, Meta Tag Description and Meta Keywords fields which should be completed. 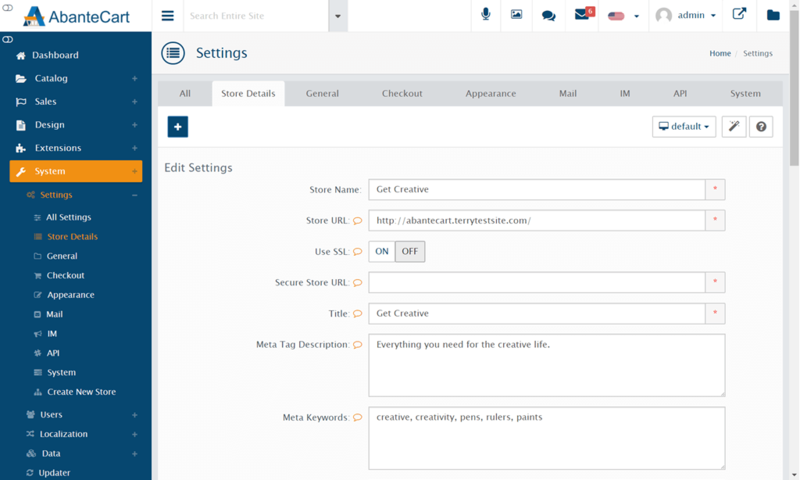 Alternatively, visit System > Settings > Store Details in the AbanteCart dashboard to edit your store’s meta tags at any time.